Define the terms: "market pulp," "recycled fiber," "pre-consumer waste," and "post consumer waste"
What is the primary goal when fiber is recycled? 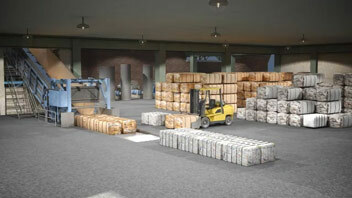 The primary goal in recycling fiber is to remove contaminants from good papermaking fiber. How do high density cleaners clean incoming pulp? 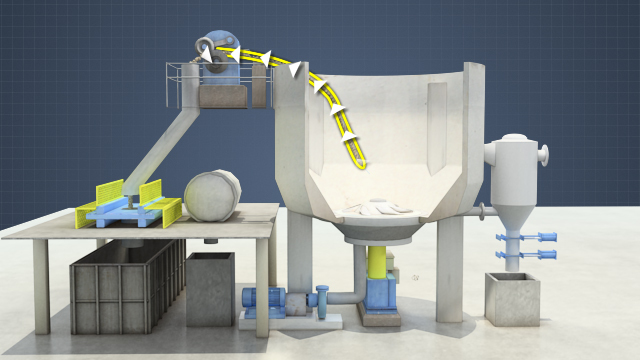 High density cleaners separate particles which have a higher density than the fibers by subjecting the pulp mixture to large centrifugal forces. Why are multiple stages of screens used? Rescreening the rejects from a screen recovers some of the good fiber which inevitably mixes with the contaminants in the reject stream. 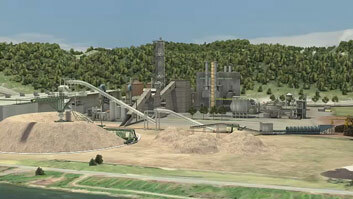 What type of screen is best suited for use as a coarse screen if the pulp has high levels of contaminants? 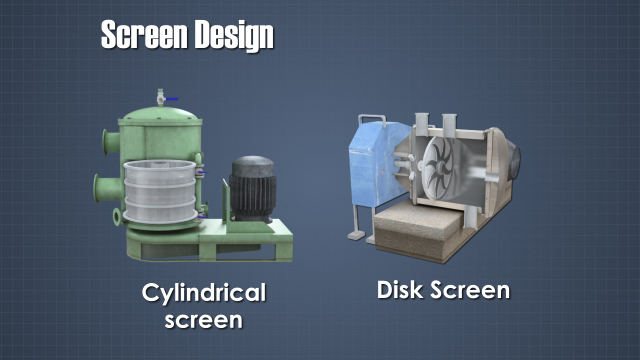 Disk screens are better coarse screens for pulps with high levels of contamination. How are ink particles separated from fibers in a flotation deinking cell? Ink particles attach themselves to the small air bubbles which are introduced into the flotation cell. 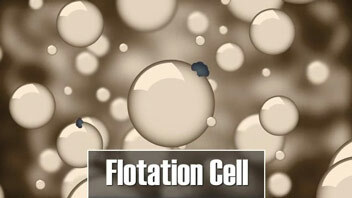 The bubbles and particles float to the top of the cell where they are removed. 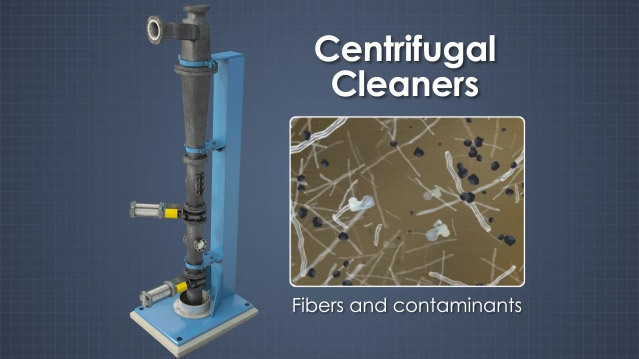 Centrifugal cleaners are devices which separate fibers and contaminants on the basis of their respective densities. 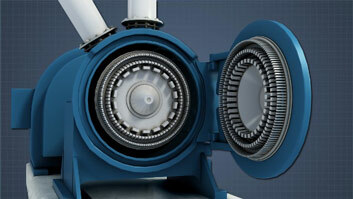 The body of a centrifugal cleaner is a slender cone with its largest diameter at the top. 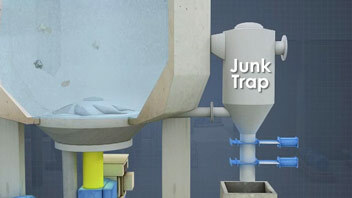 The pulp slurry enters tangentially near the top of the cleaner body at a relatively high velocity. As the slurry enters, it spins within the body and creates a vortex. 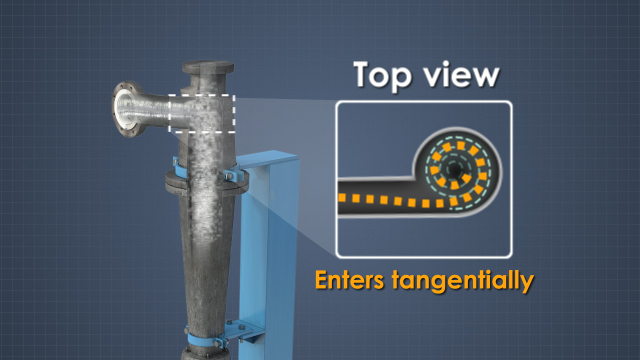 Centrifugal force moves the denser materials in the slurry toward the outside wall, where they drop down toward the bottom of the cone. There is less outward force on the fibers, so they migrate to the center of the vortex and travel upwards to the accepted stock outlet.